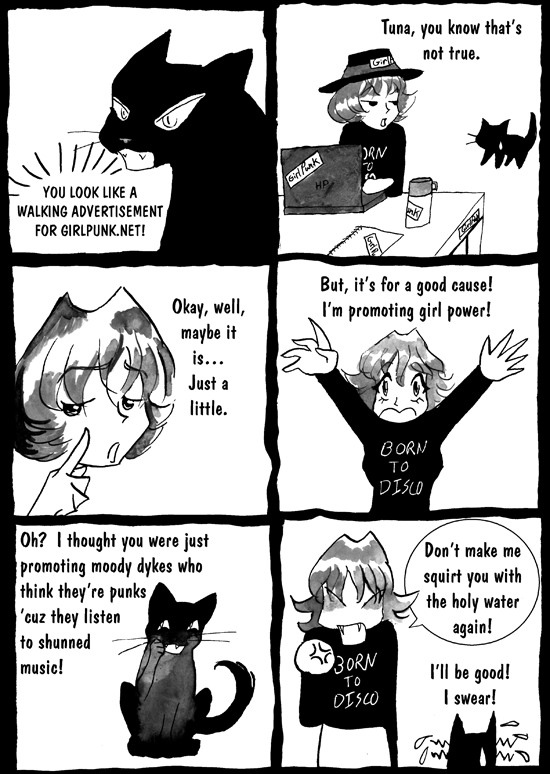 GirlPunk.net used to be a really cool site back when I ran MangaPunk.com. Both were big, female, punked out communities, and we linked to each other. Since then it’s become a mere forum, and I had to take down MangaPunk.com because it was too hard to maintain while I had a day job (which is a darn shame–I met a lot of cool people there).